While we make transporting your car easy, our customers sometimes tell us that the vehicle can get dirty along the way. Similar to if you drove across the country, you can expect your car to get a little dirty as it traverses across various roadways. However, that doesn’t mean we can’t help. We have rolled out a pilot program to address this issue. We want you to be happy with the state of your car when it arrives at its final location. 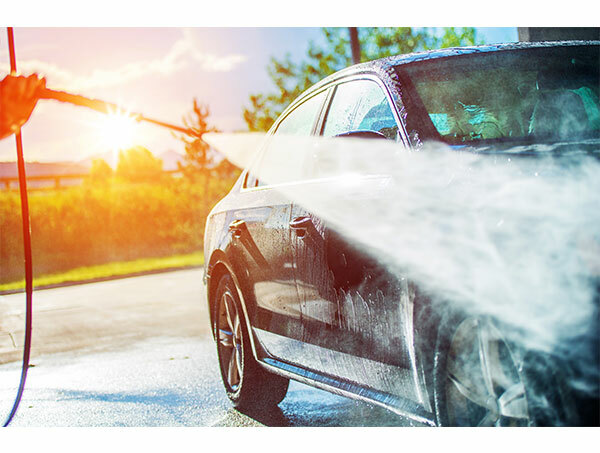 So our pilot program, the Sherpa Auto Transport Clean Car Guarantee, enables you to treat yourself to a car wash – on us. How does the Clean Car Guarantee work? 1. Book your auto transport with us. Work with us to secure your transport. The Clean Car Guarantee pilot program is available to all of our customers. 2. Collect your bill of lading. Once your vehicle has arrived at its destination collect your Bill of Lading from the carrier. Hold on to this document as you’ll need to submit a copy of it to be reimbursed. 3. Get your car washed. Choose your favorite car wash and get your car cleaned within seven days of your car being delivered. We will reimburse you up to a $20 maximum for the car wash. Be sure to keep your car wash receipt as we’ll need a copy to secure your refund. 4. Mail us your Bill of Lading and receipt. Collect your Bill of Lading and car wash receipt and send copies to us at the address below within 30 days of your car being delivered. Once we receive these documents we’ll issue a refund of up to $20 to the card we have on file from your transport. It takes five to ten days for the refund to be applied to your card. 5. Enjoy your clean car!